Thank you CT for your continued expose of another dictator in the making. 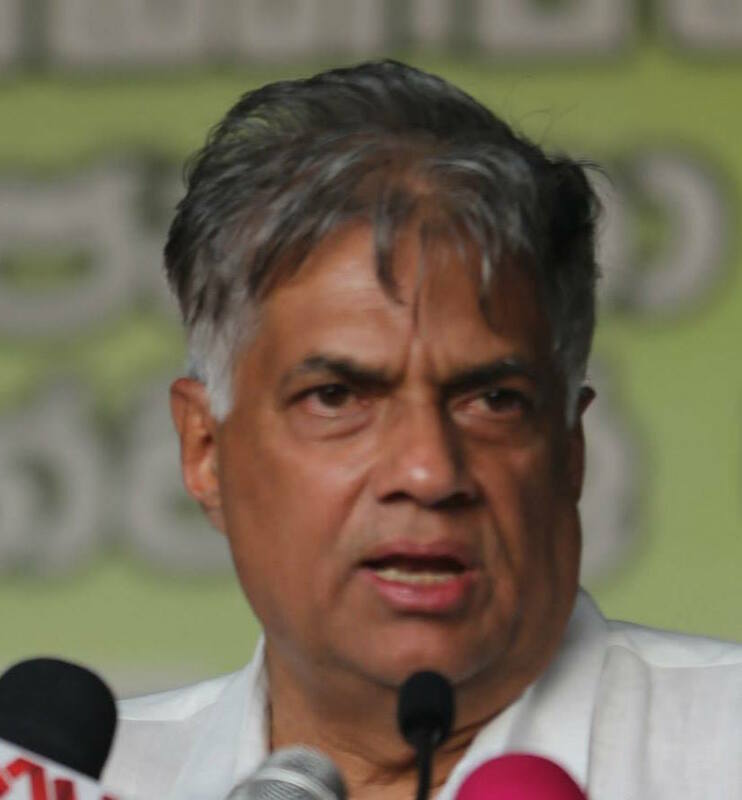 Knowing how Ranil has been a dictator within the UNP party and stifled any opposition and intra party democracy we can rest assured that we will have another dictatorship in our hands if he becomes PM. This is the same guy who before the election promised to scrap the port city project and it continues…..
and now this …… what a crook just like Mahinda. Can this nation not find anyone else? to become the dictator, better than JR himself. Just smart asses get smarter. Why this hurry to award such a large contract just before the election, and while the evaluation of contracts for Port City etc., is going on, puzzling. We should wait until after the election when a new stable government would be in power. Why was competitive bidding ‘dismissed’? Are palms being oiled again? Perhaps they have friends in very high places . [Perhaps they have friends in very high places]they might be in so called high places but character’s of them are proven Low Life’s. You mean like Untouchable, Uncountable, Under a cloud former & present Central Bank Governors Cabrall & Arajuna Mahendran in the case of Mahendran he comes with a untouchable attachment his own son in law. Why are these things not done in a transparent way ? Is it because as Ranil says the people dont understand the complex process of international tenders ? People also don’t understand the complex process in which Ranil is playing them for suckers? The hypocrisy and corruption of the Ranil, Ravi, Malik and Mahendran gang will beat the former rogues easily because these guys are more sophisticated and most people will not notice or realize it. The old dadas of colombo ( supporting Ranil)are too simple minded to see the sophisticated con job of Ranil and Co.The others like those involved in the shoot out in Kotahena don’t care anyway. Sri Lanka is a very unfortunate country ! Do you notice something among the comments? The usual Ranil’s choir boys are missing in this thread, singing their usual praises to this man. LOL Too ashamed by this expose of their man? “MR CLEAN”? None of us or them are angels. Knowing that he is on the last few laps of his political life, he may have decided to stack away something for his retirement. The delay in publishing a clear statement clarifying the charges made by the UPFA is atrocious. This is the decision taken by the Cabinet on 22.07.2015. The section of the road from Kadawatha to Meerigama is to be contracted under the first phase of the Central Expressway. A section from Kadawatha to Kossinna, approximately 5 km long, is expected to be completed from the savings of the third phase of the Outer Circular Highway and its preliminary works have already been commenced. The proposal made by Prime Minister Ranil Wickremesinghe, to award the contract for the construction of the road section of 32.55 km from Kossinna as per the recommendations made by the Discussion Committee appointed by the Ministry of Finance according to the decision made by the Cabinet Subcommittee on Economic Affairs, was approved by the Cabinet of Ministers. The cost for 32.55 from Kossina to Meerigama is not disclosed and hence requires disclosure. The section from Meerigama to Kurunegala will be financed by the Asian Development Bank and a link to Kandy from Pothuhera will be financed by the Japan International Co-operation Bank. These parts are likely to be transparent. What does Eran and harsha got to say about this award of contract ??? Ha ha ha…CT after beating the Yahapalana drums seems to be putting its feet in the mouth on the corruption allegations of MR. Stand up like a man and admit you [edited out] planted allegations to discredit MR. Please don’t write articles arbitrarily. Give exact facts and figures. What I gathered is that the road will cost a total of 200 Billion LKR. Considering that it is about 100 Km long,the average cost comes to approximately 2 Billion per Km. Is that not a huge improvement over the last one done by the previous government which was around 9 Billion per Km? Besides there will be 30 over passes and 5 under passes included in this cost. Dilan Perera, Bandula G and another idiot made a politically charged accusation in the heat of an election. CT rushes in chanting the same numbers used by these three stooges. All the MR sycophants rush in adding their two cents worth of vitriolic comments. As I see it this was rushed thru to counter MRs Kurunegala stunt. It is a political counter attack. This high way cuts thru to Kurunegala and so it will buy some votes come election day for the UNFGG. It also signals to China to back off meddling in our elections which they were attempting. Are these numbers corrct? Most likely not. This shows maturity as we are taking a non aligned view. The weakness of this is China normally does not have the capability of proper evaluation of projects. We however insist and assesing past projects helps us to moniter. The china Infrastructure Bank has wide sponsership including Germany. We now will know where we are going. 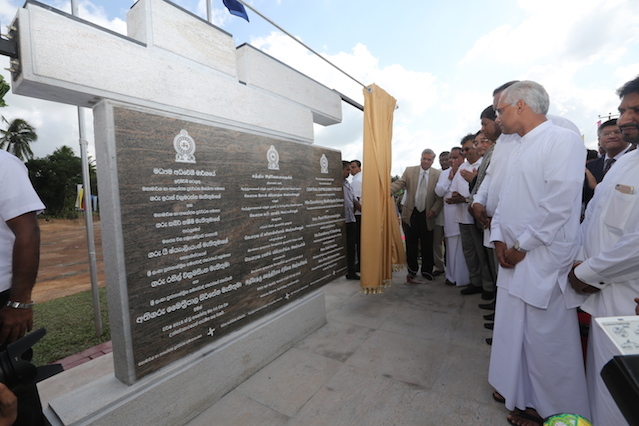 This is another one of those Ranils magics.Only the plaque that was unveiled was new and the project is the same old northern highway now with now called ‘central’with an added 30bn price tag. Another scam job before the date of expire. One political party blaming the other for pilfering and vice-versa. The contractors, bankers etc. are the same. The scope is twisted here and there. What must the common man understand out of this? Either this blaming each other for inflating costs is a down right lie to malign each other and take the people for a ride or both the parties by making noises have indeed pocketed out something. Please note that there are heavy penalties if a major road contract is awarded including commissions for those who awarded the contract. Hence, a new government can only negotiate minor changes and at best a reduction. This reduction is the construction of 5 Km of the Kandy Highway up to Kossina with the savings from Kadawatha -Kerawalapitiya section. The pricing of the balance depends on whether there is already a contract awarded to this company, which includes the commission collected by the previous government who awarded a contract for the Northern expressway. Once a commission is collected from a contractor at the time of awarding a contract, it cannot be recovered! He has always been a dicatator, for sheer LUCk there is crisis in the UPFA and UNP getting the benifict,but it wont be easy hence JVOP will get ore seats to make a very loud noise to expose the Royal Horu of UNP. The UNP guys are capable of robbing in English, colombo 7 style. better soultion will be JVP.